Although diet, sleep and lifestyle make a big difference when it comes to keeping your immune system healthy, essential oils can be a huge support! Find out here which essential oils are the best for keeping your immune system strong. 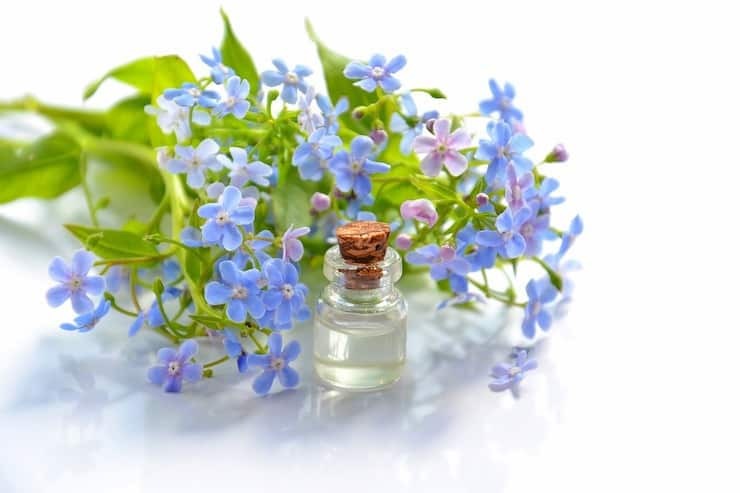 I often use essential oils for diy cleaning and beauty, hormonal support, detoxing, skin care, overall health and of course to support the immune system. Below I’ve listed a few of my favorite essential oils to use to support a healthy immune system. Essential oils have replaced many everyday products that I used to spend a fortune on. I now clean my home with oil-infused natural cleaners rather than toxic chemicals from the supermarket, for example. Removing all those toxic chemicals from my home has made a big difference in my hormonal and thyroid health. Since I’ve cleared my home of synthetic chemicals and started using essential oils my health has been so much better. I now use essential oils every day to support a healthy immune system, endocrine system, respiratory system and my overall wellness. And everyone in the family benefits from using calming essential oils in the diffuser before bedtime! 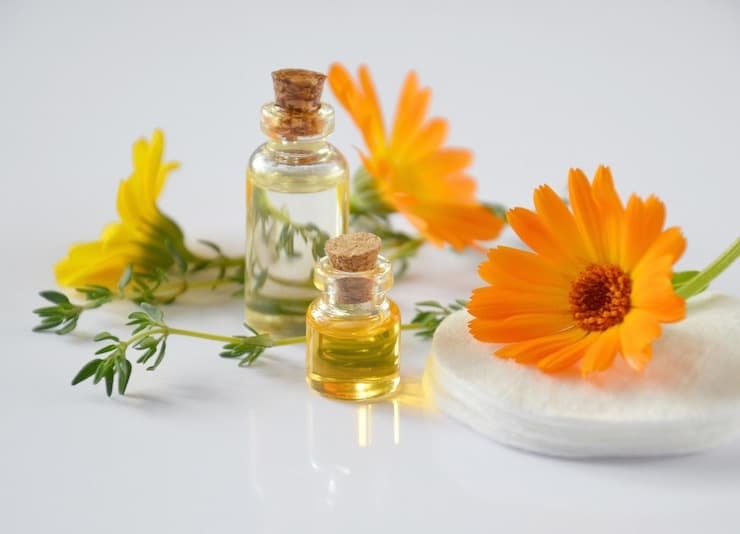 Store-bought essential oils are not required to include the ingredients on their labels and the term “natural” or “pure” is not regulated by any governing body. So store-bought oils may say “pure” and “natural” but they may still have synthetic additives. Almost all store-bought essential oils contain a warning “do not ingest”…this is usually an indication that they are not pure. Young Living vitality essential oils are one of the few Essential Oils that are cleared as dietary supplements…this also means that they are regulated and required to disclose all ingredients on the label, which is always unadulterated oils. As a Young Living member, you automatically become a member of our big community that will give you all the support and advice you need! It’s a wonderful feeling to know you have the help and reassurance of a generous and caring community of moms, experts, and lifelong users. I’ve been using my oils for a long time, but I still reach out to the our close-knit community for their advice and expertise! They grow their own organic plants that they use for the oils, so you know there is no pesticide or chemical fertilizer residue in your oils. You can even visit their farms all over the world! They are very transparent about their farming practices—something that is virtually unheard of with any other essential oil company. I’ve even visited a Young Living farm myself. You can see photos of me at the Mona, Utah farm below! 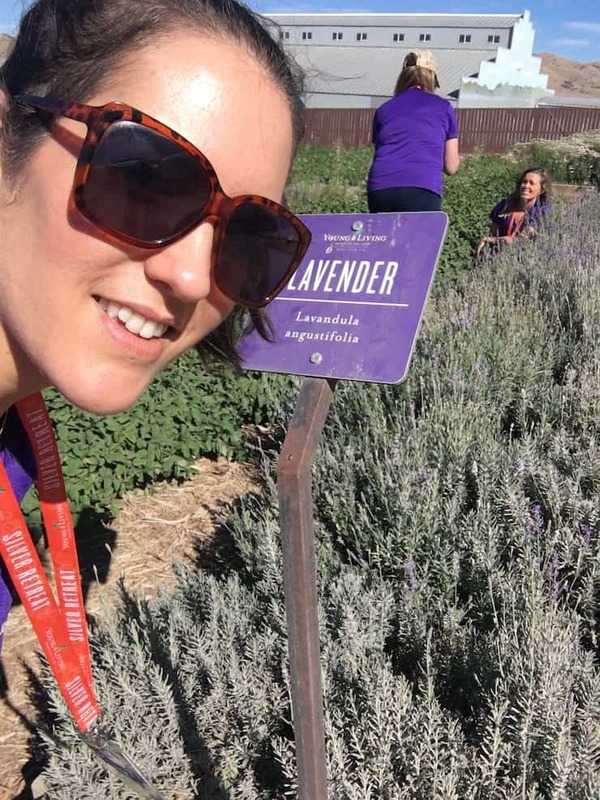 The above photo is me at the Young Living farm in Mona, Utah next to the beautiful lavender plants. One of the most versatile essential oils! 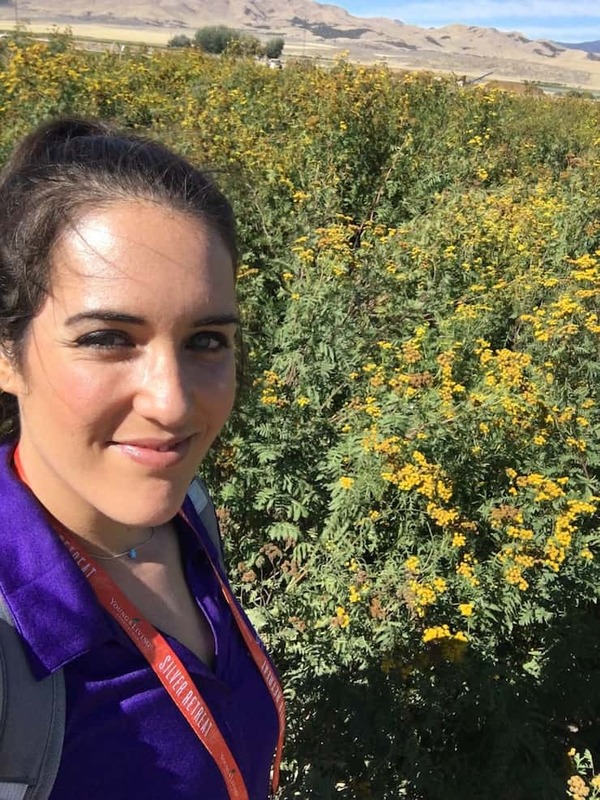 The photo below is me also at the Young Living farm in Mona, Utah in front of the tansy plants. Tansy is great for overall health, skin and digestion and is featured in many Young Living blends. Some of the best and most versatile oils to use in many health and wellness applications are lavender, frankincense, peppermint, lemon and some special Young Living blends like thieves and digize. 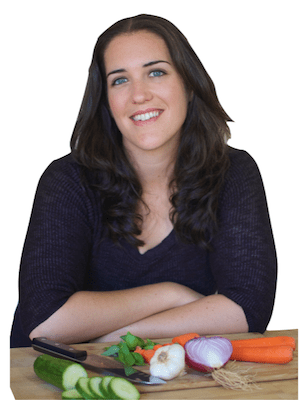 You can learn more about essential oils with my FREE ebook and email course here. Click here to get my FREE Essential Oil Ebook! 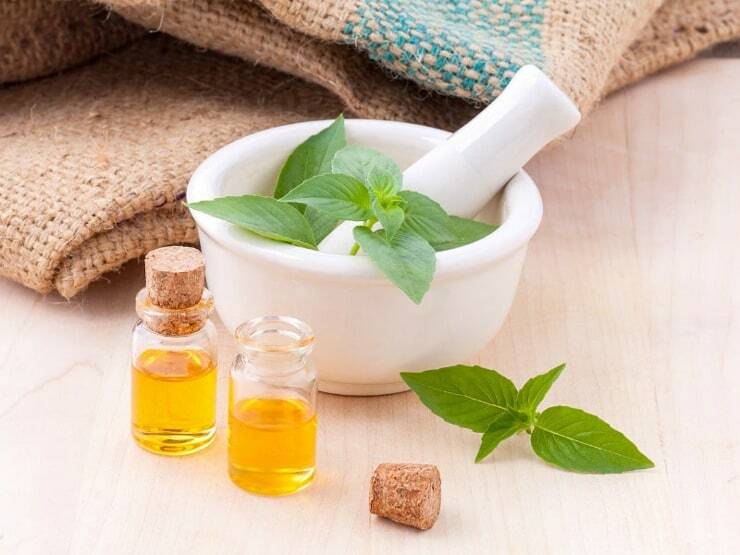 Oregano (Origanum vulgare) essential oil includes the naturally occurring constituents carvacrol and thymol which can support overall health and maintain a healthy immune system. It also be used to enhance the flavor of foods and your favorite savory recipes. This oil is rich in antioxidants and may also help maintain healthy microbial balance. Diffuse– Oregano oil can be diffused to help keep the air clean, but it has a very strong scent so use it sparingly (just 1-3 drops) and combine it with a complementary oil like grapefruit, lemon or thieves. Topically– It can be used topically, but make sure you dilute it with a carrier oil like coconut oil or avocado oil because it can sting on the skin if it’s undiluted. Many people like to rub it on the bottom of the feet or on the back of the neck. Internally– Oregano oil can also be taken internally, but you’ll want to be sure to use FDA approved dietary grade essential oils like the Young Living vitality oils. 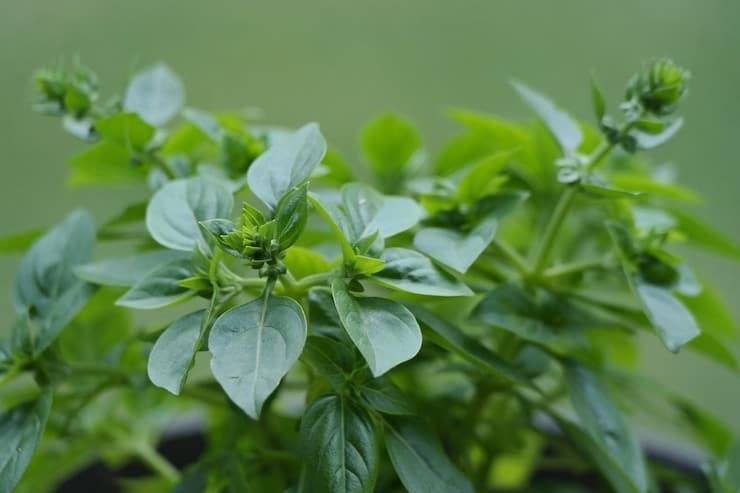 When taking oregano internally, be sure to put 1-2 drops in a vegetable capsule because it can feel very hot in the mouth. Only use a very small amount when cooking because it is very concentrated and powerful. For example, to add oregano flavor to a large pot of pasta sauce, all you need is 1 drop. Unfortunately, there are many companies selling imitation synthetic oregano which is why I always recommend getting any essential oils from Young Living. Young Living is incredibly vigorous and transparent about their process. They own their own farms, they only make pure 100% therapeutic grade essential oils and do rigorous repetitive testing on each bottle before it is sold. The best way to get started is to get a Young Living essential oil kit which also gets you 11 popular essential oils, a diffuser, free membership, 24% off any orders along with other discounts and benefits. To learn more about the many uses for essential oils download my free essential oil ebook and join my email course here. Young Living is unique in that it is one of the few Essential Oils producers who carries three different types of eucalyptus essential oil. 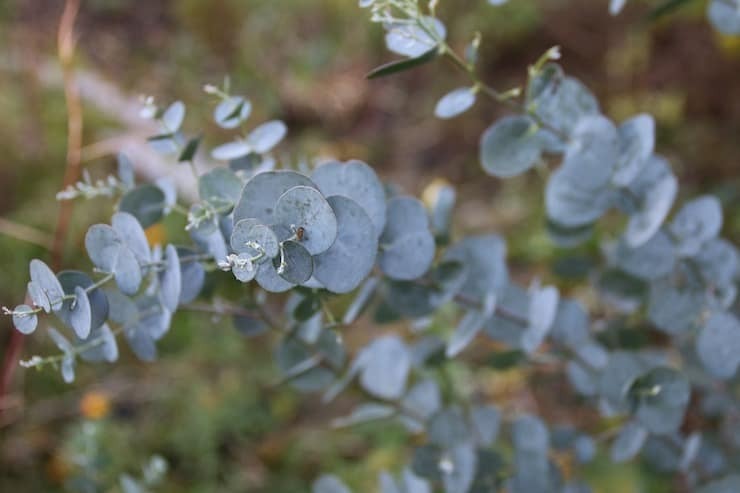 Eucalyptus globulus contains a high percentage of the constituent eucalyptol. Applied topically, it is often used to support the respiratory system and to soothe muscles after exercise. Eucalyptus Blue is for very cleansing and maintains healthy nasal passageways. It is harvested from Ecuador. Eucalyptus Radiata essential oil is useful for massage after activity, and can be diffused for a stimulating and rejuvenating environment. This oil has a mildly pungent, sweet, and fruity aroma, and includes the naturally occurring constituents 1, 8 cineole and eucalyptol. Topically– Eucalyptus oil is one of my favorites to combine with a carrier oil and use as a chest rub to support normal breathing. It is also very invigorating to place 1 drop on your hands, rub them together, cup hands over your nose and mouth and breath in. Add a drop to a cup of epsom salts and mix into your bath tub for a relaxing and detoxifying bath. Diffuse– Eucalyptus oil is wonderful to diffuse to support the respiratory system. You can also combine it with other oils like lemon, peppermint, frankincense or lavender to strengthen and add to it. You can also create a room or bathroom spray with several drops of eucalyptus then fill the rest with water and shake before using. Young Living is the best place to get eucalyptus. Since it is such a popular oil there are many companies selling eucalyptus oil that is combined with artificial fragrance. Young Living only creates pure 100% therapeutic grade essential oils. For more info on the amazing uses for essential oils download my free essential oil ebook and join my email course here. Thieves is a Young Living essential oil blend that was inspired by the legend of four 15th-century French thieves who formulated a special aromatic combination of botanicals that they used to stay healthy while robbing the dead and dying. This effective blend combines oils like eucalyptus, cinnamon, clove, lemon and rosemary that work together to support healthy immune function. Diffuse– It is one of my favorite blends to diffuse in the home. Not only does it maintain clean air within the home when diffused, but it also smells amazing because of the hints of cinnamon and clove. Topically– You can also use it topically, but be sure to dilute it with a carrier oil like coconut oil because it can be hot on the skin if it is not diluted. Rub it on the bottom of the feet, on the back of the neck or on your wrists. You can also buy thieves in a roller bottle that is already diluted. Internally– You can also take thieves internally, but be sure to use FDA approved dietary grade essential oils like the Young Living vitality oils. You can put a drop or two of thieves vitality on a spoonful of honey or coconut oil and swallow. You will want to dilute it when taking internally because it can also feel a bit hot in the mouth. You can also put 1-2 drops in a vegetable capsule and swallow. Since thieves is an exclusive blend from Young Living, I recommend getting it from Young Living. Unfortunately, since thieves is so popular people sell knock-offs in fake Young Living bottles on Amazon. When you buy it that way you never really know what is in them, so they are not safe for use. The best way to get started is to get a Young Living essential oil kit which gets you a set of popular essential oils, a diffuser included and also gets you free membership, 24% off any orders along with other discounts and benefits. Thieves essential oil is included in the Young Living premium starter kit which is how I got started with oils– Learn more here. Ginger essential oil includes the naturally occurring constituents zingiberene and beta-phellandrene which help make it an amazing support for health and wellbeing. It can also be a delicious, spicy addition to many recipes. One of the most potent compounds in ginger that gives it it’s therapeutic strength is gingerol. Most of the gingerol present in ginger root comes from the oily resin. Since it is completely tapped from the oily resin, ginger essential oil contains a high concentration of gingerol to support the immune system and promote a healthy response to inflammation. Diffuse– Ginger oil can be diffused to help keep purify the air, but it has a very strong scent so use it sparingly (just 1-3 drops) and combine it with an essential oils to complement it like citrus fresh, raven or peppermint. Topically– Ginger can be used topically and works best when diluted with a carrier oil like coconut oil. You can combine it with a carrier oil and another immune supporting oil and rub it on the bottom of the feet or the back of the neck. 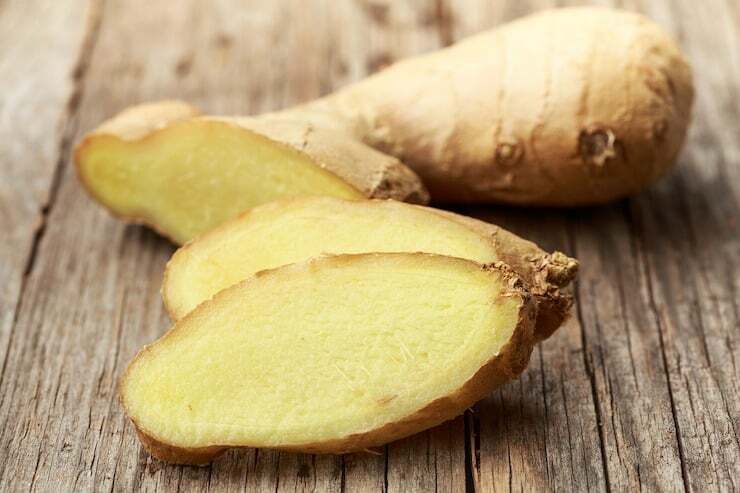 Internally– Ginger is one of my favorites to take internally. Not only is it helpful for the immune system, but it also supports healthy digestion. Be sure to use FDA approved dietary grade essential oils when taking it internally like the Young Living vitality oils. You can put a drop or two of ginger vitality on a spoonful of honey or coconut oil and swallow. You will want to dilute it when taking internally because it can be a bit strong undiluted in the mouth. You can also put 1-2 drops in a vegetable capsule and swallow. It’s best to get ginger essential oil from a trusted source, especially if you’re planning on taking it internally. Many store-bought essential oils have warnings on the label that says “not for internal use” –usually a sign that it’s not pure. I always get ginger from Young Living since I know it’s pure. Raven is a blend that is a unique combination of ravintsara, peppermint, eucalyptus radiata, wintergreen and lemon. It includes the naturally occurring constituent limonene. Raven is the perfect blend to rub on your chest or diffuse next to your bed to promote clear breathing. This blend is perfect for fall or winter to help maintain and healthy home and a strong immune system. Since it creates a cooling sensation, it’s also a great oil to apply to muscles after working out. Diffuse– This is a perfect blend to put in the diffuser. Not only does it make the house smell great, but it helps to maintain clear nasal and breathing passageways and support the immune system. Topically– Similarly to eucalyptus, this is a great blend to combine with a carrier oil like coconut oil and rub on the chest for healthy breathing. You can also rub it on your neck, feet or muscles after a work out. Adding a few drops to a bath is also very relaxing to the muscles. Since Raven is an exclusive blend from Young Living, I recommend getting it from Young Living. Unfortunately, some people sell knock-offs in fake Young Living bottles on Amazon. When you buy it that way you never really know what is in them, so they are not safe for use. It’s always safest to get it from the source, plus that way you get member benefits too! The best way to get started is to get a Young Living essential oil kit which gets you a set of 11 popular essential oils, a diffuser included and also gets you free membership, 24% off any orders along with other discounts and benefits. Raven essential oil is included in the Young Living premium starter kit which is how I got started with oils– Learn more here. Lemon essential oil is derived from cold pressing the peel of the lemon rather the the acidic juicy inside. Because of this, it is much less acidic than lemon juice and contains higher concentrations of beneficial compounds and antioxidants. This incredible oil helps to support the body in regular detoxification processes. 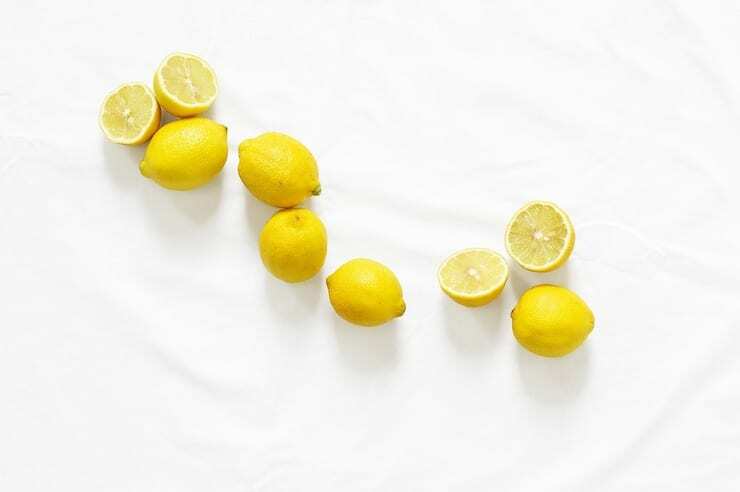 Lemon oil also helps maintain a healthy lymphatic system which in turn supports the immune system. Diffuse- Lemon is one of my favorite oils to combine with other oils in the diffuser since it complements almost every other oil or blend and brings a bright cheeriness to the aroma. Topically- Mix with a carrier oil like coconut oil and rub on the skin. Just be sure not to put lemon oil on your skin and then spend time in the sun right after because it can enhance the effect of the sun on the skin and create a quicker sunburn than usual. Internally- To use internally be sure to use FDA approved dietary grade essential oils like the Young Living vitality oils. You can put a drop or two in a glass of water to drink or add to a spoonful of honey or coconut oil and swallow. I recommend getting lemon essential oil from a reputable source like Young Living. The best way to get started is to get a Young Living essential oil kit which also gets you free membership, 24% off any orders along with other discounts and benefits. Lemon essential oil is included in the Young Living premium starter kit– Learn more here. ImmuPower is a powerful blend of therapeutic-grade essential oils that was made to maintain a healthy immune system. 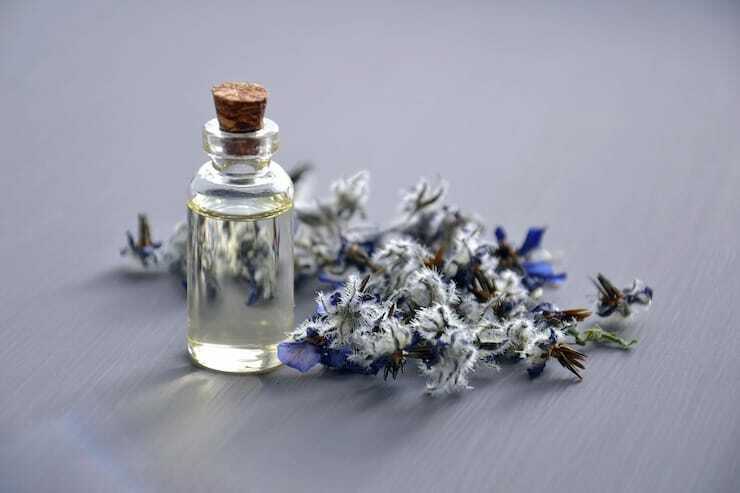 It includes the oils hyssop, mountain savory, cistus, camphor, frankincense, oregano, clove, cumin, and dorado azul to create a fragrant and protective haven. 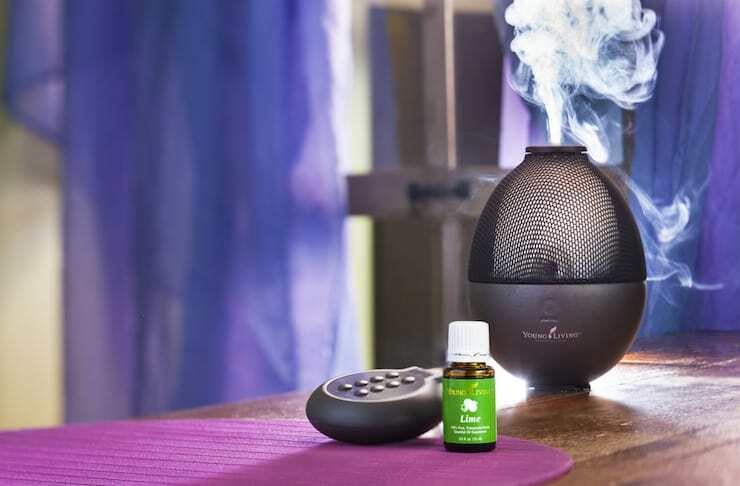 Diffuse– This is a great blend to diffuse at home to improve the indoor air quality and help you stay healthy. It also fills the house with a beautiful earthy aroma. Topically– This is a great oil to apply diluted on your neck, feet or wrists. It can also be added to the bath or used as a spray. Since ImmuPower is an exclusive blend from Young Living it’s best to get from the source–Young Living. It has been discovered that people sell contaminated imitation Young Living oils on other websites. Even though the bottle may look real, you never really know what is in them unless you get them from Young Living. It’s always safest to get it from Young Living, plus that way you get member benefits too! The best way to get started is to get a Young Living essential oil kit which gets you a set of 11 popular essential oils, a diffuser included and also gets you free membership, 24% off any orders along with other discounts and benefits. Frankincense (Boswellia carterii) is tapped from the resin of the frankincense tree that is native to areas of the middle east. It includes the naturally occurring constituent boswellic acid, and has a woodsy, warm, balsamic aroma. It is a wonderfully powerful oil to use topically to support health and the immune system. Applying this oil topically may help smooth the appearance of healthy-looking skin, and is excellent to use for massage after activity. 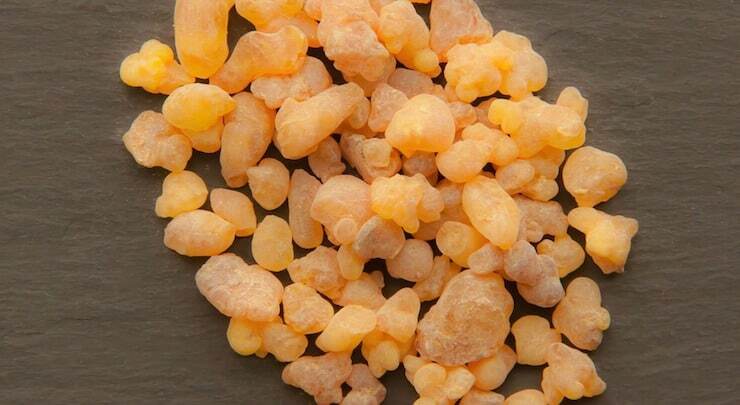 Diffuse– Frankincense is a great essential oil to diffuse for a grounding and uplifting aroma that supports health. You can also combine it with other favorites in the diffuser. It’s also great to take 1-2 drops in the palm of your hand, rub your hands together, cup them over your nose and mouth and inhale. Topically– Frankincense can be used with or without a carrier oil. Since it can be expensive, it does help it to last longer to use it with a carrier oil. Apply to the temples, neck or wrists. Internally– Frankincense is an oil I take internally often to maintain calm. Not only is it helpful for the immune system, but it also supports relaxation. Be sure to use FDA approved dietary grade essential oils when taking it internally like the Young Living vitality oils. You can put a drop or two of frankincense vitality on a spoonful of honey or coconut oil and swallow or you can just put a drop straight on your tongue. You can also put 1-2 drops in a vegetable capsule and swallow. The flavor isn’t my favorite, but I love the effects. Frankincense is a very difficult oil to harvest because it is usually only grown in the middle east and must be tapped from tree resin. In ancient times, frankincense was prized for its healing properties and was worth more than gold. This is why real authentic frankincense is usually a bit pricey. Always be wary of companies selling cheap frankincense–this is usually a sign that it it not pure and probably adulterated or cut with cheaper oils or artificial fragrances. 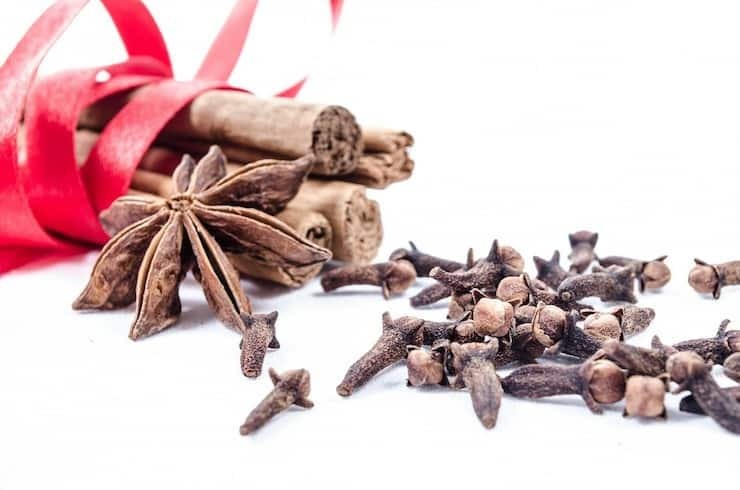 In this case, you get what you pay for– if you want your frankincense to be effective for therapeutic use, you have to get the real stuff and the real stuff can be costly. However, one bottle of frankincense will last you a long time since it is so concentrated and powerful. That is why I only use Young Living frankincense because they have their own farm in Oman near Jordan in the middle east and is always authentic and pure. Another amazing thing about Young Living is that they include frankincense in the Young Living essential oil kit which gets you a set of 11 popular essential oils, a diffuser included and also gets you free membership, 24% off any orders along with other discounts and benefits. When you get frankincense as part of the kit, you get it for 50% off along with all the other oils in the kit– Learn more here. With a fresh, crisp aroma, Tea Tree essential oil (Melaleuca alternifolia) helps maintain healthy microbial balance, supports the immune system and promotes healthy skin. This oil includes naturally occurring constituents terpinene-4-ol, gamma terpinene and alpha-terpinene which help to give it is therapeutic properties. Diffuse- Tea tree is a great essential oil to blend with other oils in the diffuser to help purify the air and support health. It goes especially well with citrus oil, floral oils like lavender or geranium, or oils from conifer trees like pine, Idaho balsam fir or northern black spruce. Topically- Use with or without a carrier oil like coconut oil and rub on the skin. It’s a great oil to rub on the feet, nails or on the face to support skin health. I recommend getting tea tree essential oil from a reputable source like Young Living. 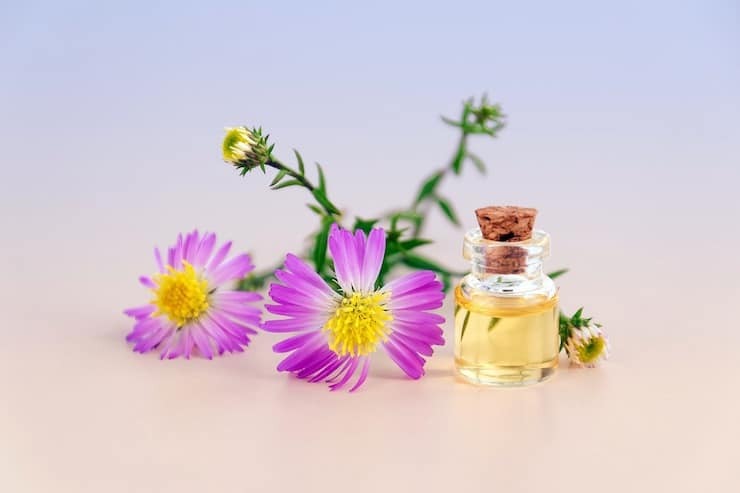 There are many inauthentic cheap brands of tea tree out there, so you want to be sure to get the pure therapeutic grade oil to get the benefits. Not only is Peppermint (Mentha piperita) a great oil to support the immune system and respiratory system, but it is also one of the oldest and most highly regarded herbs for digestion. It promotes healthy intestinal function and gastrointestinal system comfort. 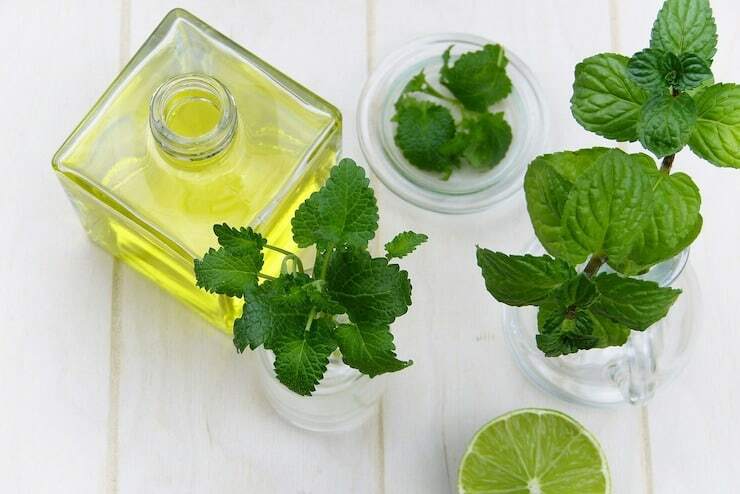 Peppermint oil has been used for centuries in Europe and in ancient Japan and China for it’s healthy properties. Diffuse- Peppermint has a very invigorating aroma that goes really well when combined with citrus oil. It helps support healthy breathing and is very uplifting. Topically- Peppermint creates a cooler sensation on the skin, so it helps to mix it with a carrier oil like coconut oil before rubbing on the skin to minimize the intensity. It’s also great to rub on the muscles or back after a work out. Internally- To use internally be sure to use FDA approved dietary grade essential oils like the Young Living vitality oils. It is very strong and concentrated so a little bit goes a long way. Usually 1 drop is more than enough. You can put a drop in a vegetable capsule and swallow. You can also use it to flavor food like my chocolate peppermint bark or this peppermint cheesecake. I recommend getting peppermint essential oil from a reputable source like Young Living. The best way to get started is to get a Young Living essential oil kit which also gets you free membership, 24% off any orders along with other discounts and benefits. Peppermint essential oil is included in the Young Living premium starter kit– Learn more here. 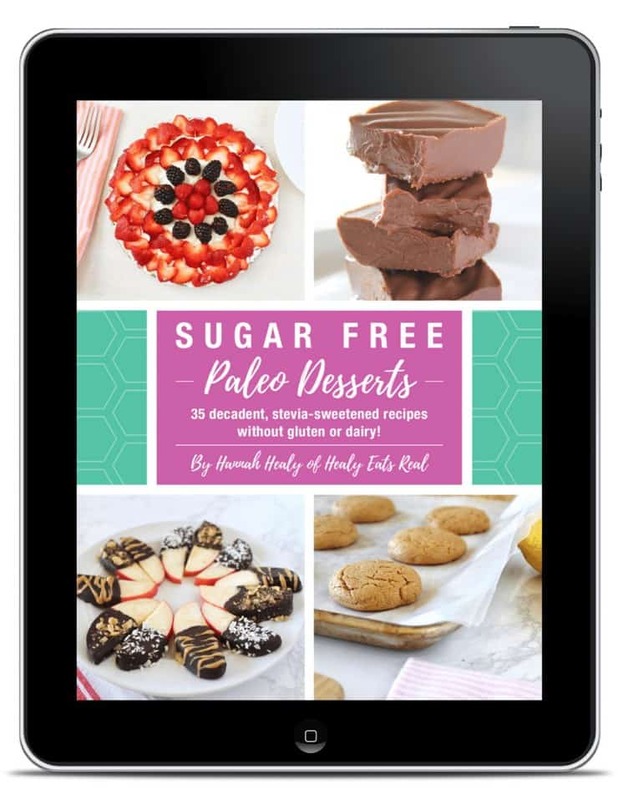 Get my FREE Essential Oils Ebook! Inside my ebook, you’ll find tutorials to start making your own DIY beauty products, and sound advice to help you make the switch from toxic chemicals to natural, green beauty products you can make for PENNIES! •Everyday uses for your home, beauty, wellness and more! If you’ve been wanting to learn more about essential oils, you’ll love this free email course and e-book. You’ll learn everything you need to get started with essential oils. 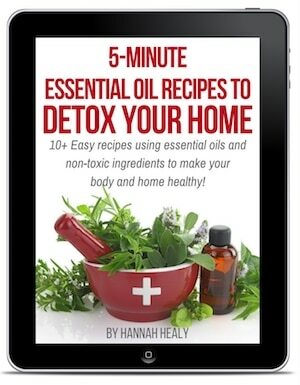 Click here to join the e-course and get your FREE Essential Oil Ebook! This article was originally posted on November 2015, but has been republished in November 2018 to include improved info and photos. Essential oils can be integral in maintaining a healthy immune system. Find out here which essential oils are the best for keeping your immune system strong. Hello, I’m interested in learning about what comes in your goodie bag when starting with essential oils. Thanks for sharing the useful post, Hannah! Can I pin this post on my Pinterest board? My followers will love it. Actually, all essential oils can help kill bacteria and viruses, fight infection, relieve allergies and alleviate anxiety, stress, depression, fatigue and poor memory. I am a big fan of oregano oil for boosting my immunity in the winter! Me too! That is such a great one for the immune system! I like to use essential oils when i’m sick. This is a really great idea. I like this post. Thank you for sharing. The immune system is really important. Your post is really interesting and important for many people. I love to use essential oils. Thanks for the great post. I Love essential oils but I have never made it myself. I tend to use more of these in the house in winter. Not sure why. I loved reading this post. So much information. I love essential oils, but often forget to use them! I do use lavender every night and keep a few in my car with a little clip on pad on my air vent – love it! How often do you use the one or two drops of oregano in the capsule? Daily, weekly? I usually just take it in a capsule for a couple days when I need an immune boost if I’ve been around someone who isn’t feeling well or something like that. Otherwise if I want to keep my immune system healthy on a regular daily basis, I’ll use it topically diluted.